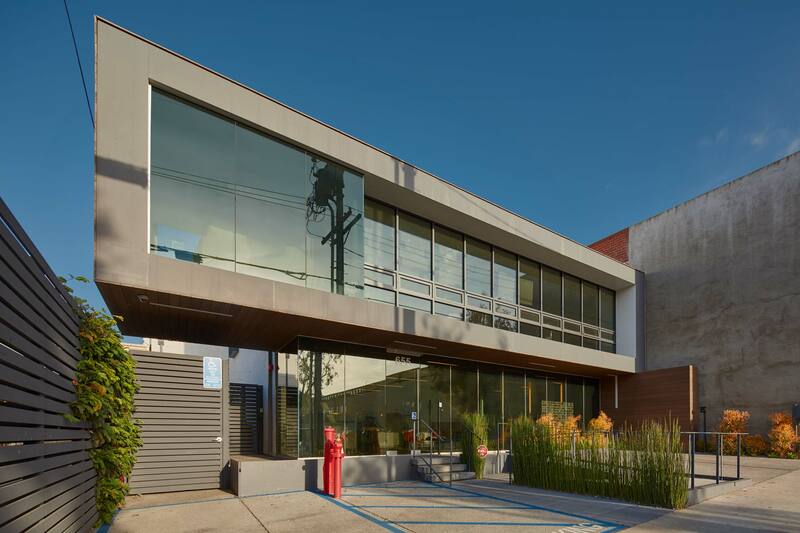 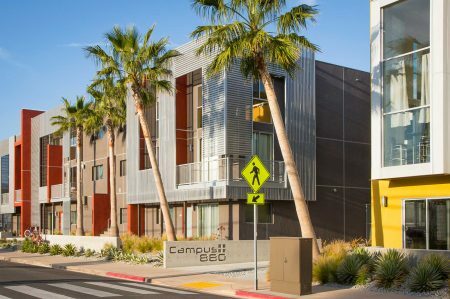 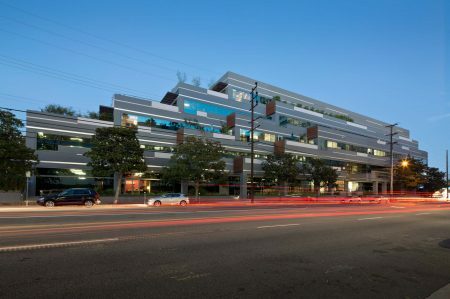 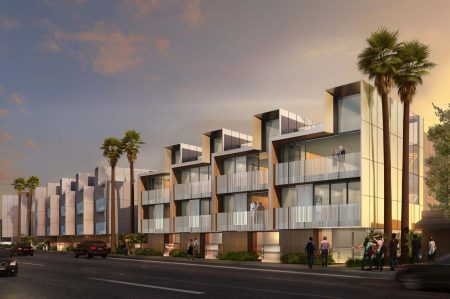 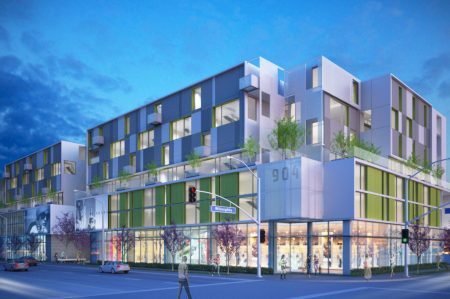 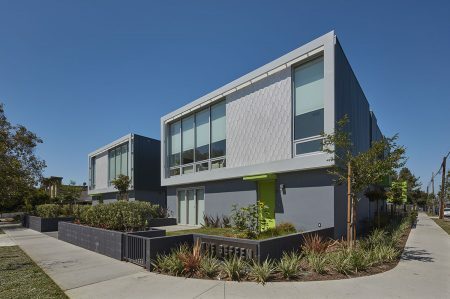 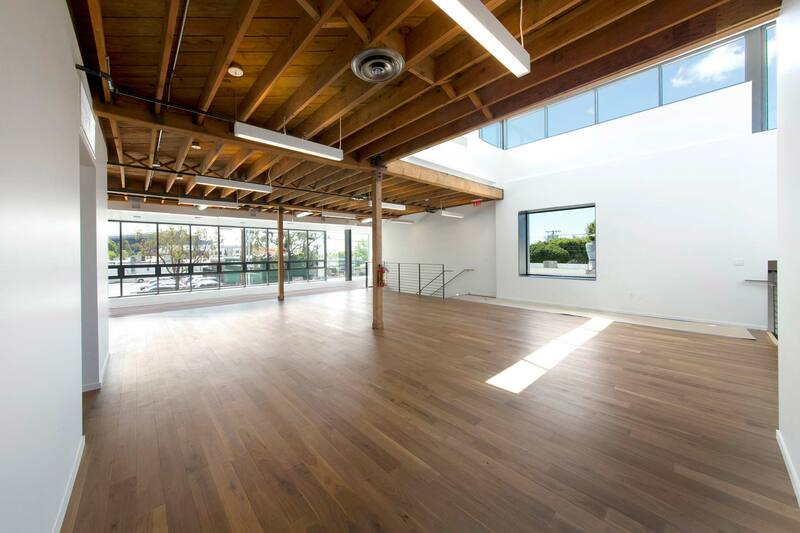 Situated in West Hollywood, the existing building constructed partly in the 40’s and partly in the 50’s on an infill urban lot, was a hodgepodge mix of old Hollywood warehouse and a tacked on, non-descript 2 story office appendage. 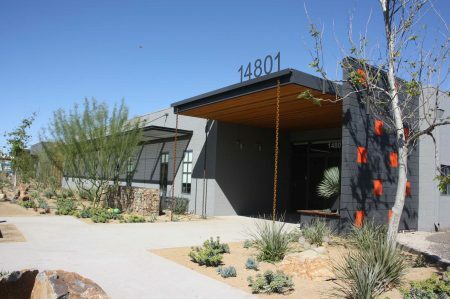 From the start, HQ Development, who has been revitalizing old forgotten buildings and transforming them into something that is very unique and meaningful, along with the architectural firm of ShubinDonaldson, who welcomes this challenge, recognized the full potential of the property. 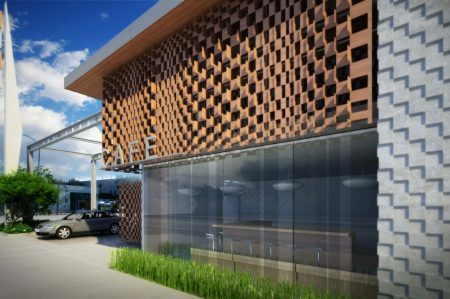 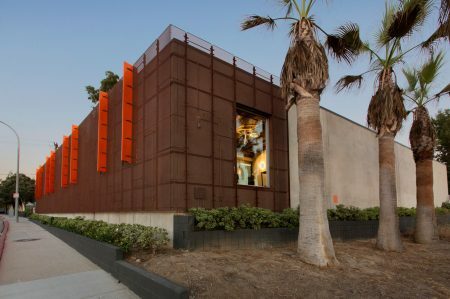 The building inherently had 2 distinct characteristics; one the public face that addresses the street and a second, a more introverted one that deals with the relationship or lack of, between the exiting large warehouse area and the existing 2 story office addition. 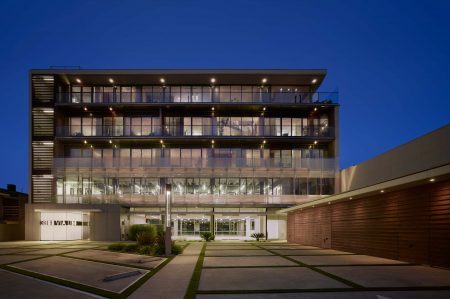 From the start, the architects knew that the 2 separate parts had to be united so that the building functions as one cohesive structure. 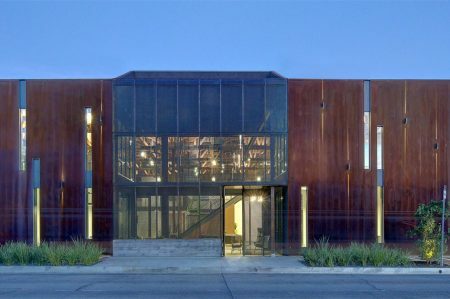 This was accomplished through an addition of a clerestory volume that floods the old dark warehouse area with abundant natural light and a stair along with an open balcony that physically connected the two portions allowing for a free flow of circulation. 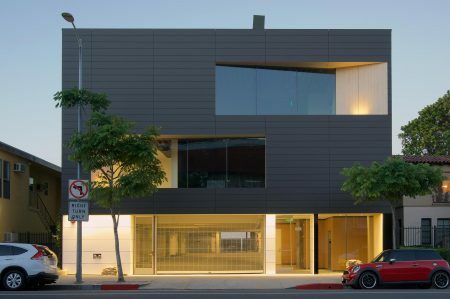 By introducing this unifying element, the building presents users a hidden quality that fully reveals itself after their procession through the building. 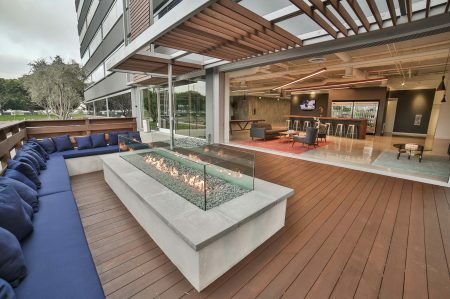 An operable exterior wall connects the interior common area to the exterior outdoor patio further reinforcing this idea for connectivity. 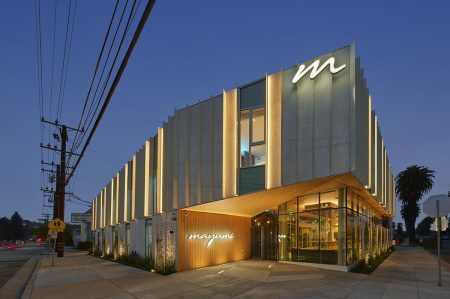 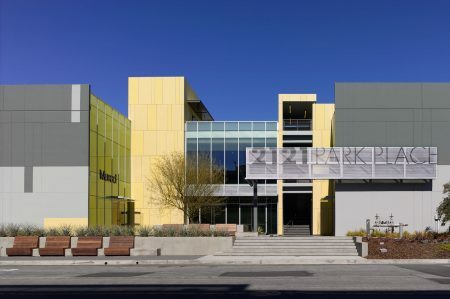 The public façade of the building that looks to the street, again conceptually emphasizes this dichotomy of the two separate parts through the introduction of a heavy steel and glass box wrapped in a softer, wood like skin made of recycled material; a contemporary interpretation of the old building façade that seems to float on frameless glass exterior walls. 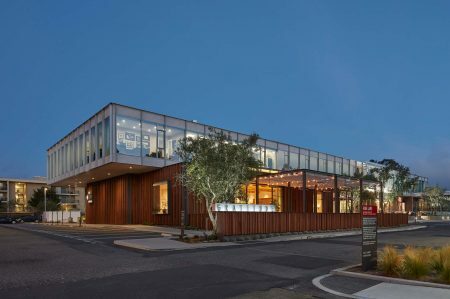 Through the simplicity of form, introduction of natural light and air, the building looks to provide an inspiring, open environment for future creative office tenants.